MuggleBeWizard | Retrospect, Do I live the life I am desired? Retrospect, Do I live the life I am desired? This is some information I find online regarding how an non-immigrant F1 visa students at US can legally own a gun at Texas, USA. May a nonimmigrant alien who has been admitted to the United States under a nonimmigrant visa possess a firearm or ammunition in the United States? An alien admitted to the United States under a nonimmigrant visa is prohibited from shipping, transporting, receiving, or possessing a firearm or ammunition unless the alien falls within one of the exceptions provided in 18 U.S.C. 922(y)(2), such as: a valid hunting license or permit, admitted for lawful hunting or sporting purposes, certain official representatives of a foreign government, or a foreign law enforcement officer of a friendly foreign government entering the United States on official law enforcement business. Can an alien who enters the United States on a nonimmigrant alien visa rent a firearm for lawful hunting or sporting purposes while in the United States? A nonimmigrant alien that possess a valid hunting license from a State within the United States or falls within any of the other exceptions or exemptions that allow nonimmigrant aliens to possess firearms may rent firearms to hunt or to use at a shooting range. Someone send e-mail asking ATF for more information and I listed them below. (B) and illegally possessing the firearm he legally purchased previously? unexpired to possess such firearm after acquisition. commercial or private target range? relevant information pertaining to rental of firearms at shooting ranges. In addition, there may be State laws that pertain to this proposed activity. http://www.naag.org) for information on any such requirements. *note 1: 27 CFR 478.11 – Meaning of Terms. Steps that Texas Residents obtain a hunting license. *note3 : A RESIDENT is a person who has lived continuously in Texas for more than six months immediately before applying for a license. *note 4 : Generally, fishing and hunting licenses and endorsements are valid from the date of sale through August 31 of the same year. Temporary hunting and fishing licenses and packages, Year-from-Purchase fishing licenses and Lake Texoma fishing licenses have different expiration dates. Here is the video screen shot of mini 0906 with 1080P 30fps front camera. 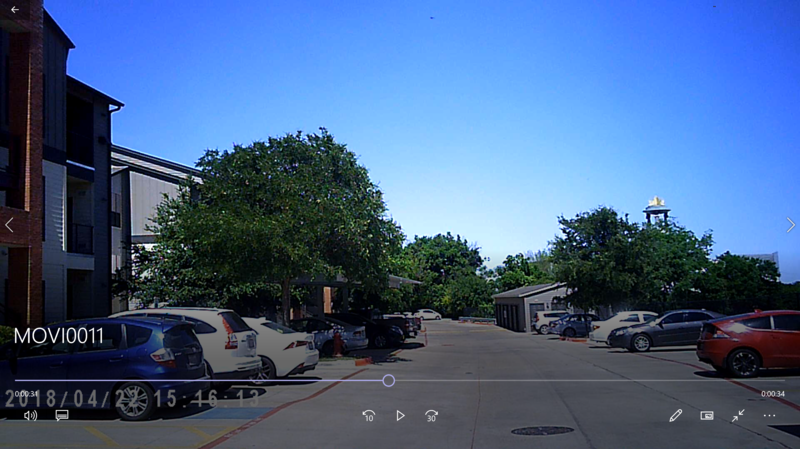 Here is the screen shot of glass camera with 1080P and 30fps. Why the same 1080P has so huge video quality difference? About recording file size, 1920 x 1080 = 2073600 Pixels, if each pixels need 8 bits for White/Black, 8 bits represents 28 = 256 tonal levels (0-255) and 24 bits (3 bytes) for a color image, which is this case. Considering the frame rate is 30fps, which means 30 images per seconds, then the total data amount is 2Meg x 24 x 30 /8 = 180 Mega Bytes per seconds, after video compression algorithm, the actual file size is around 600Megabytes per 5 minutes, which is 2 MegaBytes per seconds only. 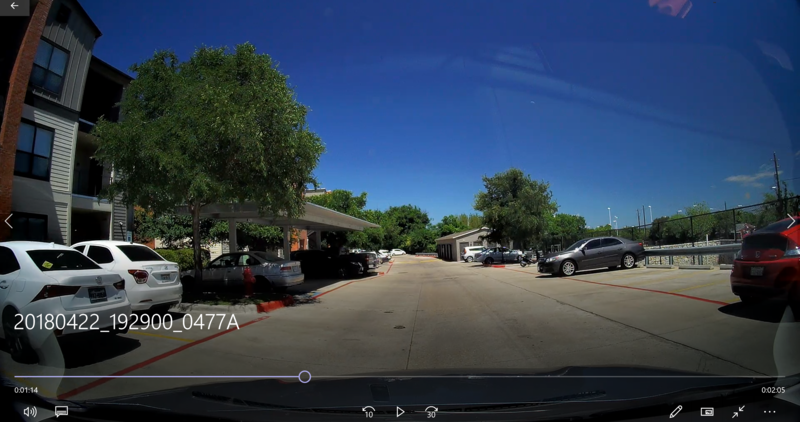 Based on file name extension, the dash cam with better video quality is ended with .MOV, which supports H.264 compression etc while the galss cam uses .avi which is obsolote and uncompressed video quality. So I am not sure if the video recorded from glass cam is really 1080P, maybe not real 1080P based on the video quality. Because I need to travel to UK in a few weeks and I spent some time to study the exchange rate at US. Unlike Singapore, US doesn’t have a lot of exchange firms. But Singapore and Europe have a lot of those types of companies. If you think my conclusion is wrong, please don’t hesitate to comment below. I find the same conclusion from TripAdvisor, but they just don’t give me a reason, so I have to dig them out here. Why not Visa Credit Card? Why not exchange firm at UK? The link below is their website, they have many branches in London. Their online rate is 1.3875 for buying GBP via USD from them, which is worse than Thomas exchange global. I didn’t try exchange from it yet. Best rate I find is Wells Fargo, which offer me 1.4198 USD = 1 GBP. I tried Chase and Bank of America, you can try other bank’s calculator. I need to prepare some cash in hand before I fly there. In a summary, to buy the same 1 Britain Pound, master card allow me to pay the minimum today as 1.3606 if my master credit card has no foreign transaction fee. I once also tried to exchange all my SGD to USD because I am not travelling that time, but move all my asset to US for my study. I am not financial major and also don’t have a lot of money to exchange, so I just look for different bank exchange rate at Singapore and choose the lowest one, I remember UOB offers the lowest. But I believe there must be some better way to exchange currency, maybe bitcoin. Let me know your opinion.